RELIEVE PSORIASIS, ECZEMA & ACNE: A safe, natural alternative to treating skin conditions. According to published studies, about 80%-90% of psoriasis patients visiting the Dead Sea for treatment�experience a�significant improvement in their skin. 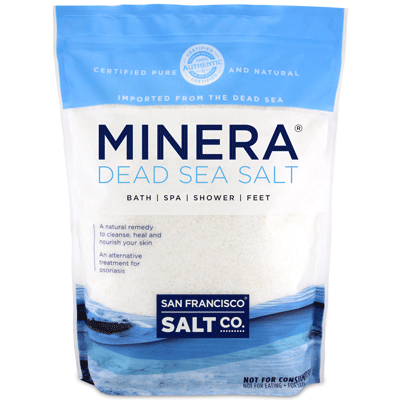 CLEANSE, SOFTEN AND DETOXIFY SKIN:�Dead Sea Salt's unique mineral composition gives this salt it's therapeutic qualities for skin care. 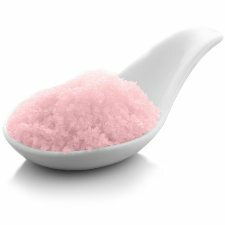 While most sea salts are primarily Sodium Chloride; Dead Sea Salt is comprised of 21 beneficial minerals including: Magnesium, Potassium, Calcium, Bromide and Sulfur. DIRECTIONS FOR USE:�For psoriasis treatment* - Dissolve approximately 2lbs of Minera�Dead Sea Salts into a warm bath and bathe for 20 minutes. Use 3-4 times a week for a period of 4 weeks for best results. The idea is to re-create the waters of the Dead Sea in your own bath tub. Foot soak - Add a handful of Minera�Dead Sea Salt to a foot bath. Massage for extra relief. Note: Always rinse treated area with fresh water after each Dead Sea salt usage. *Psoriasis Treatment. As with any skincare treatment, discuss with your healthcare professional before use.